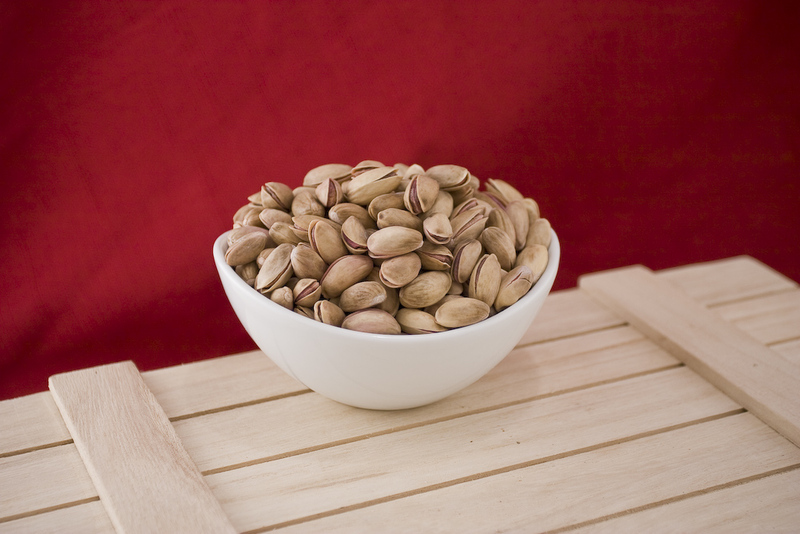 Turkish Pistachios are smaller and less open than the California variety, they have darker shells but feature a richer and more distinctive taste. Many Pistachio connoisseurs would tell you Turkish pistachios are better tasting than any other variety. Turkish Antep Pistachios Bulk - Wholesale - Net Wt. 10 lbs. Turkish pistachios are the best! The Turkish Antep pistachios always arrive fresh and crunchy. They're pricier than California nuts, but superior in taste and texture. ProsMore savory and intensely flavored, and crunchier than California pistachios. ConsThey are harder to open and expensive, but worth the extra work and money. The Turkish Antep Pistachios sold by Superior Nut Company are the freshest that I've ever tasted with just the right amount of light salt. I was also impressed at how fast the delivery was. ProsBetter flavor & richer than California pistachios. ConsThere's a shell keeping me from eating them by the handful. ConsNot your fault, but the always "Too many"-not able To open nuts Need a tinier nut cracker- not teeth! Half shell doesn't get it when there is NO opening! I really wanted to like these nuts, but most of them had no salt. When I called, they said I can return them, however they never sent the claim email I was told to expect. I gave them to my Aunt, who is on a low salt diet. ordered ten lbs this time and all were excellent. Prosfresh, great flavor and reasonable price. Consthought a 10 lb order would be in 2 5 lb bags instead of one large plastic bag. but no big deal. I absolutely love antep pistachios. This is the second time that I ordered them from The Superior Nut Company and I am very happy. They taste good, they have quick delivery, and even though they are pricey, they have the best price around. Once again I had to order myself another 10 lb. box of Turkish Antep Pistachio nuts. The flavor of these are above anything else available with the exception of Iranian Pistachios which are illegal to sell in the Untied States. Although Turkish Anteps are a bit smaller than California pistachios. They more than make up for it in taste. This is my 3rd time ordering and for the price, service and quality it's an outstanding deal. I'm living in the Midwest and it's impossible to find imported pistachios here. When I lived back East in NJ, I had a few outlets to purchase them. Your prices are much better and the quality is what I was looking for. Very pleased. ProsPrice, quality, quick shipping, easy to order. ConsJust a bit less salted than the last batch, but they still taste great. I tend to prefer a little more salt. I have been purchasing this item for 2 year and the quality has not changed, same great taste. I have been buying turkish antep pistachios for over 30 years, and they are the only ones I will eat. Like their name, Superior's product is superior to any other nut supplier I have purchased from ove the years. My purchase is my first from Superior, but they will now be my regular source. I usually buy approximately 100 pounds a year. Service from ordering to delivery was outstanding. Delivery was prompt. ProsGreat taste, salted perfectly. Prompt delivery and tracking information provided. ConsPistachios shipped in plastic bag. Would prefer a different packaging material/container such as paper bags. I have experienced bad tasting/smelling pistachios from other suppliers using plastic for bulk shipments (although not sure the plastic was the reason for the bad taste). My shipment arrived the next day - WOW !!! The nuts were well packed and fresh (just like I used to buy in Istanbul, BUT at twice the price). I love pistachios, but I won't eat the tasteless offerings from California. It is great to find a reliable source for Turkish nuts. If they weren't so pricey this company would easily rate five stars. ConsNet $10 a pound is a bit pricey. My parents are from Antep (the city is actually called Gaziantep) where the pistachios grow. The ones we bought were very good and we intend to buy them again. Please let us know when you are running any specials on them. We offered some to some of our friends who have never tasted Turkish pistachios before and we think they also got hooked. We will be sharing the website with them. Wow! I, too, have shopped with another company for years, but no longer! These pistachios taste better (more natural) and are much cheaper! I am so happy to find Superior Nut Company! Woohoo! Be aware...this order came in one giant bag...not a problem, for me, since they're easily transferred to smaller zipper bags, but just be aware ahead of time. Though the prices for this product have skyrocketed across the board in the last 2 years, Superior Nut Company offers the best prices on the internet. This last batch was the most flavorful of any Antep pistachio batch that I have purchased in the last 10 years! Excellent Turkish pistachios. Fast order fulfillment. Excellent nuts, excellent price, Ate them for a day and weighted them after and still have 10 lbs. My new Turkish Pistashio retailer. Great tasting,great shipping, no complaints. Excellent. Very happy with product and delivery. Thank you. Excellent nuts, very very few were not open. Tasted great!